Lots of people take this time of year to do Spring Cleaning. They clean out the cob webs in their homes. Some go as far as rearranging furniture and throwing a bunch of things out. Its yard sale time in many neighborhoods. Its also the time to start mowing the lawn, cleaning out and planting new flowers and vegetables, perhaps even clean out the garage or storage shed. In addition to cleaning out the unwanted dirt and clutter inside and outside your home, it is definitely time to clear out the energetic dirt and clutter in your energy field, home, and business. The last few days I've had lots of calls where people are just feeling stuck and fuzzy mentally. A little bit of confusion has been running rampant. As I work with people to clear out this disharmonious energy, I've been amazed at how long its been taking doing it with dowsing. I clear energy using Pristine Clearing Mist if I'm with someone. Or dowsing if I'm not. Its much more powerful if two people do it together. 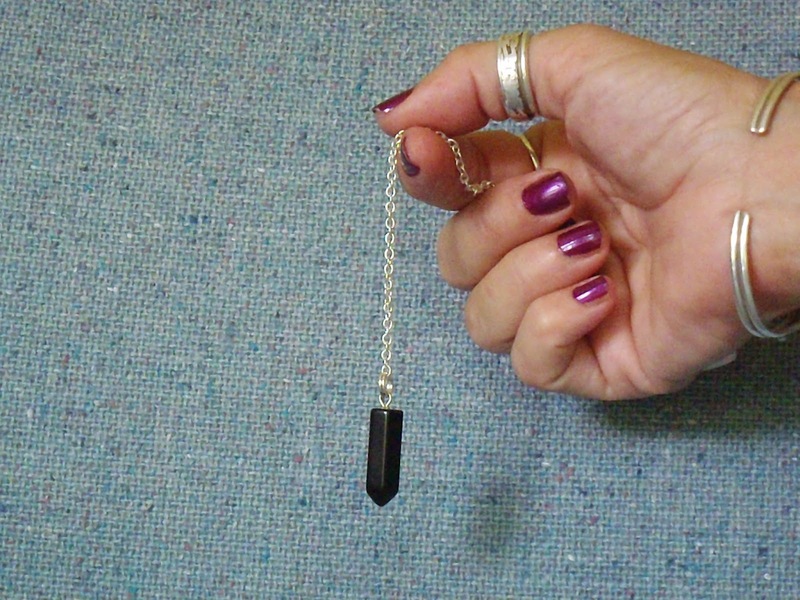 Or if you are connected and both holding the same intention of clearing, even if only one is dowsing. To dowse a place or space clear, obviously the pendulum system needs to be "programmed" to do such things ahead of time. Assuming that has already happened, you take the pendulum and start it swinging in a counterclockwise circle. Ask that whatever you are desiring to clear be cleared. And then watch as the pendulum continues to swing in a counterclockwise circle. If you haven't done this in awhile, or if you have never done it, it can take quite awhile. Eventually the circles will become smaller and eventually they stop. My pendulum always swings to "yes" when things are clear. After clearing, you will want to flood the space with love, joy, peace, and all the other good stuff we use in the infusion step. Spin the pendulum clockwise when you do this and again watch as it continues and eventually comes to a stop or a "yes." P.S. This is just a tiny hint of what's in my upcoming book: The Dancing Dolphin Way of Pendulum Dowsing: The Fun, Fast, Highly Effective Method to Make Improvements in Every Area of Life While Fine-Tuning Your Intuition.